The Norman Shatz Company was established in 1929 as a full-service sales and distribution company catering to the flourishing apparel industry in Pennsylvania. Philadelphia was a major apparel manufacturing and design center. 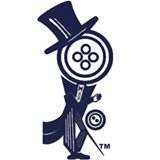 The Shatz Company started with a variety of trim and notions such as buttons, buckles and narrow trimming for many well-known brand names which were established in Philadelphia and we are still building and selling strong today. This is our 90th year in business. Industries & Consumers in need of a reliable one-on-one textile vendor relationship that can build a future of business together. Register as a member to contact this business by email.